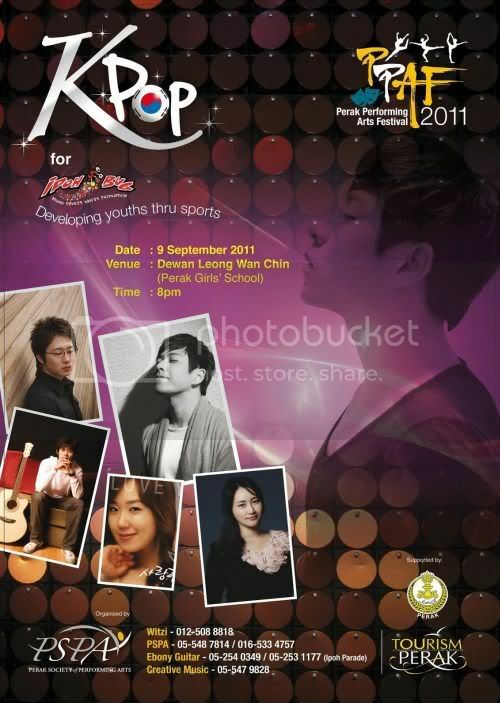 Kpop concert in Ipoh on Sept 9 · K-POPPED! Yo, Ipoh Kpop fans, what are you doing on Sept 9 (Friday)? Fancy an evening of good, clean Kpop fun? 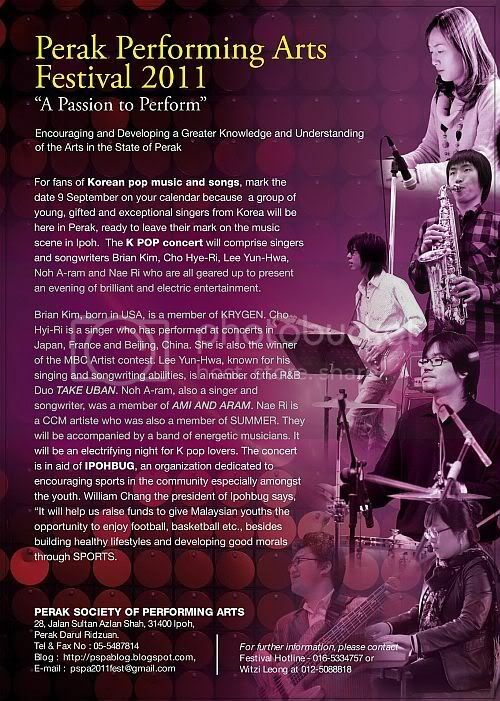 If you answered yes, then you are in luck because a group of young and gifted musicians from South Korea will be holding a concert at the Dewan Leong Wan Chin (Perak Girls’ School) at 8pm. The concert, which is in aid of Ipohbug, features Brian Kim (member of KRYGEN), Cho Hye-ri (winner of the MBC Artist contest), Lee Yun-hwa (member of R&B duo Take Urban), Noh A-ram (erstwhile member of Ami and Aram) and Nae Ri (former member of Summer).